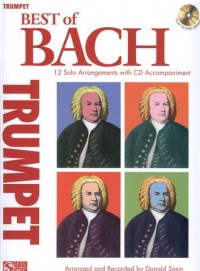 Bach Best of. 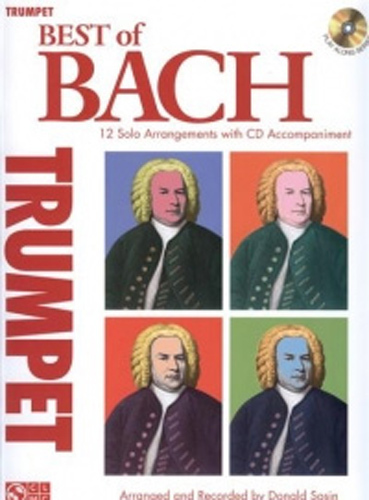 Trumpet These great play-along book and CD packs for solo instruments include twelve classics from the beloved composer These sonebooks are Excellent for practice, study and performance.Titles include. Air on the G String, Sheep May Safely Graze. Brandenburg Concertos No2 (1st Movement) No2 ( 3rd Movement) No 3 ( 1st Movement) No 5 (1st Movement ) and No 6 ( 3rd Movement ) Minuet, Bourree.Sleepers Awake. Jesu Joy of Mans Desiring and More.